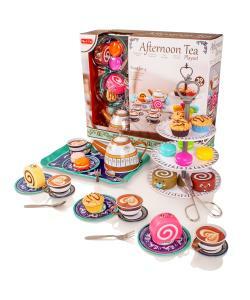 Serve Afternoon Tea in style with this deluxe vintage style childrens metal tea set, delightfully designed and painted to look realistic and fun. 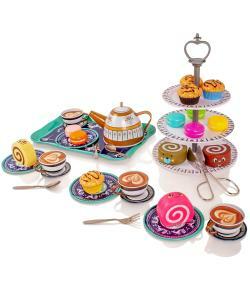 Perfectly Size for Smaller Hands - The replica kids teaset is a minature version on a afternoon teaset you might be served in a traditional English tea room. Perfect for play kitchens and playhouses. 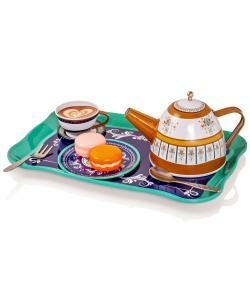 The teaset is made from high quality metal, whilst the accessories such as the playfood are high quality plastic. Designed with extra smooth edges for added safety. 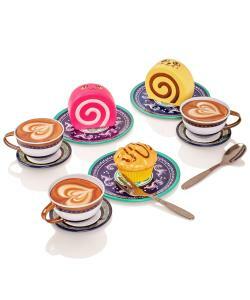 Serve afternoon tea in style with this delightful teaset. 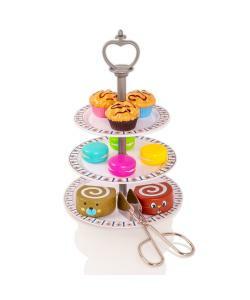 This play set features beautifully painted metal steel pieces that Mum and Dad would envy! 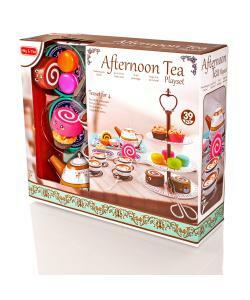 Perfectly sized for children and a realistic look and feel, the teapot, cups, saucers and other accessories make for exciting kitchen or tea party roleplay. All of the handles and knobs feature sturdy riveted joints and the extra smooth edges provides added safety.